BRAVO™ apples are exciting and unique Western Australian bred apples that has a distinct sweetness, moderate to high crisp and crunch, and a striking burgundy colour.BRAVO™ apples are the result of more than two decades of research and development with an impressive tree pedigree. The tree variety is the result of a traditional hybridisation cross between Royal Gala and the internationally acclaimed Western Australian-bred Cripps Red apple variety. 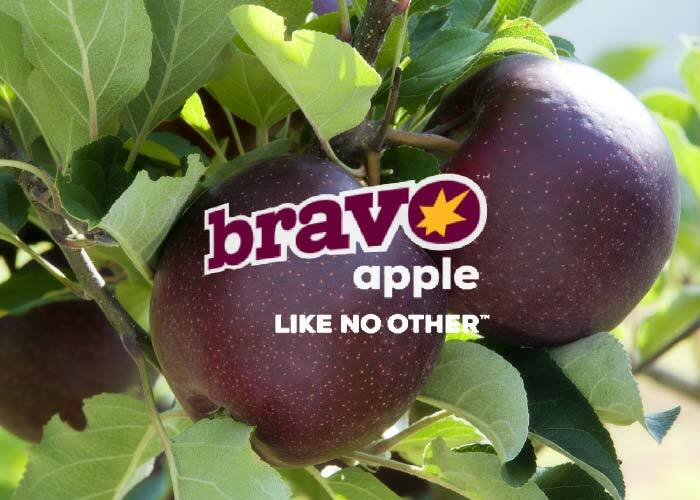 BRAVO™ apples are therefore 100% guaranteed non-GMO fruit. The apple’s outstanding colour and prominent lenticels provide a distinctive sparkling appearance to a BRAVO™ apple which is generally obloid in shape and medium to large in size. The apple is fresh tasting with an excellent balanced flavour at optimum maturity, is juicy and crisp and has an attractivecontrasting creamy yellow flesh and not prone to surface cracking, bitter pit, superficial scald or internal disorders.